Hey all! I have not participated in a�Top Ten Tuesday hosted by The Broke And The Bookish�in goodness knows how long — but yesterday I hand wrote a list and today I am actually typing up my list of my Top Ten Favorite Books Of 2014… so far. I have to say, for the most part it’s been a pretty decent reading year. I’ve read a lot of good books and few terrible books. You can click the link for each review to find out why these are my favorite books of 2014 thus far. I have not read any of these books 0__0 however, I have passed by a few of them in the bookstore. The Lies Locke Lamora looks good. So does Cruel Beauty. Holy cow, I haven’t read any of your favorites this year!!! Well, I am currently reading (listening to) Landline, and I’m totally loving that one, but besides that. I’m glad you’ve had a pretty good reading year. I’ve read some amazing books this year, too. Hope the next half of the year has just as many amazing books. Ah I have Nogging in my very soon TBR pile so I’ll have to get on it! I have read Cruel Beauty and the Winner’s Curse and I agree 100%! Since You’ve Been Gone was SO good! I can’t wait to read some of Morgan Matson previous books! I haven’t read any of the others on your list, but We Were Liars is on my TBR pile. I absolutely adored Since You’ve Been Gone! I thought it was so perfect in so many, many ways. I do have We Were Liars, The Winner’s Curse, and Landline on my TBR list, but from what I’ve heard, those will be spectacular novels as well! I’ll have to research the rest of your list, as you obviously loved them so! We Were Liars is next on my list of books to read! Many others on this list I also can’t wait to read!! We Were Liars made my list too… it was so haunting and fantastic! A few books on your list are in my TBR pile and I’m glad you enjoyed them. I can’t wait to read Landline and Since You’ve Been Gone. Great list! I’m sorry, I couldn’t get behind “We were Liars,” but I’m SO looking forward to Landline and Since You’ve Been Gone! I’m about halfway done with LANDLINE and seriously, if I had only read it a few days before today, it would DEFINITELY be on my list. I’m in the middle of SINCE YOU’VE BEEN GONE by Morgan Matson, and I’m loving it so far! We Were Liars is on a lot of lists this week! I’m listening to it on audiobook right now and am liking it. I’m also anxiously awaiting Landline! We both know how we both feel about LLL, lol. ;D And I’m pretty sure Since You’ve Been Gone would’ve made my list today… if I’d read it yet… And I really need to read Noggin! It sounds so strange/funny, but I’ve heard such awesome things about it! A wide variety of reads I’d expect from you! Love this list. I can’t wait to read Cruel Beauty. Great list! Yes! I love this list. The Winner’s Curse made my list as well. I am DYING to read Landline. Seriously. I cannot wait until it’s in my hands. I’ve had We Were Liars and Cruel Beauty requested at the library for weeks, but there are still like twenty other requests ahead of mine. Sigh. First World Problems. 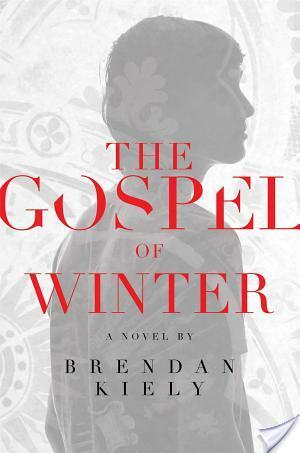 Ooh ooh, The Gospel of Winter is the book I am very excited to get my hands on soon. We Were Liars made my list, too. Did you expect the twist?